Other than our bedrooms, the kitchen is probably the place most women spend the majority of their time. We cook, clean, make lunches and prep meals daily — so it’s best to be as organized as possible to make our lives a little easier. Clean, organized spaces are welcoming, relaxing and soothing. No one wants to cook in a messy kitchen where you can’t find anything and nothing has a place. If your kitchen’s not organized, you end up spending twice as much time cooking and preparing meals. To us, this just isn’t worth it. Let’s commit to getting our kitchens super-organized this year. With the help of some highly organized bloggers who are sharing their best kitchen organization tips, this process won’t be as difficult as it sounds. 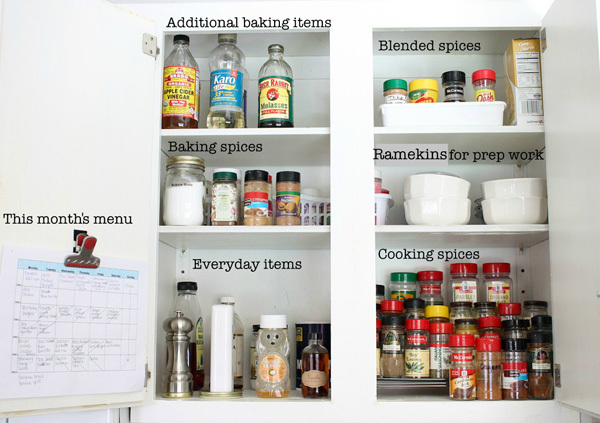 “There are oodles of ways to add some organization to your kitchen. For me, the most effective way to save time and energy in the kitchen is create zones. Taking a little time to organize like items together is an effective way to simplify your prep and clean-up time. What are my favorite kitchen zones? 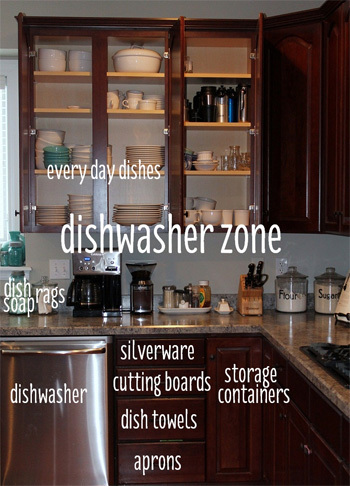 The Dishwasher Zone — Easy access and put-away-ability is the key to this zone. Dish soap, silverware, storage containers, dish towels and dishes are all within close proximity to the dishwasher so I can stand in one place to empty and load the dishwasher. Nice and easy. The Baking Zone — I keep baking supplies, flour and sugars, my stand mixer, spices and my cookbook holder all stored or on display near each other to make a great baking zone. Do you have zones in your kitchen? What’s your most effective zone and is there a zone that you could implement today? Tell us in the comments below.